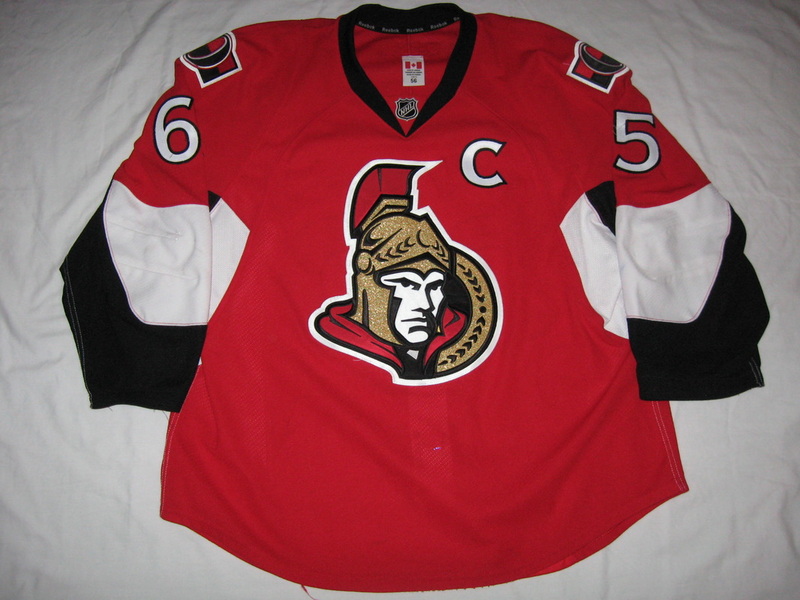 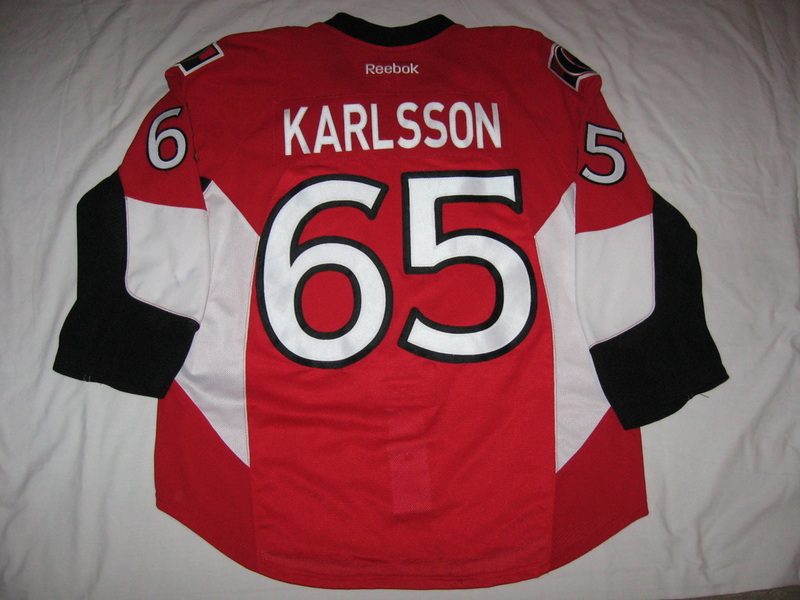 Notes: Worn during Karlsson's second season as captain of the Ottawa Senators. Karlsson was 4th in league scoring with 82 points, which is the first time a defenseman finished in the top-5 in league scoring since Paul Coffey in 1985-1986. 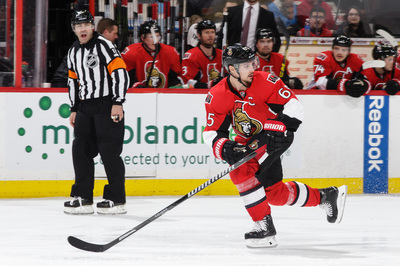 He also lead the league with a career high 66 assists, the first defenseman to do so since Bobby Orr in 1974-1975. 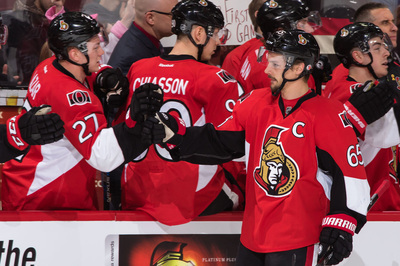 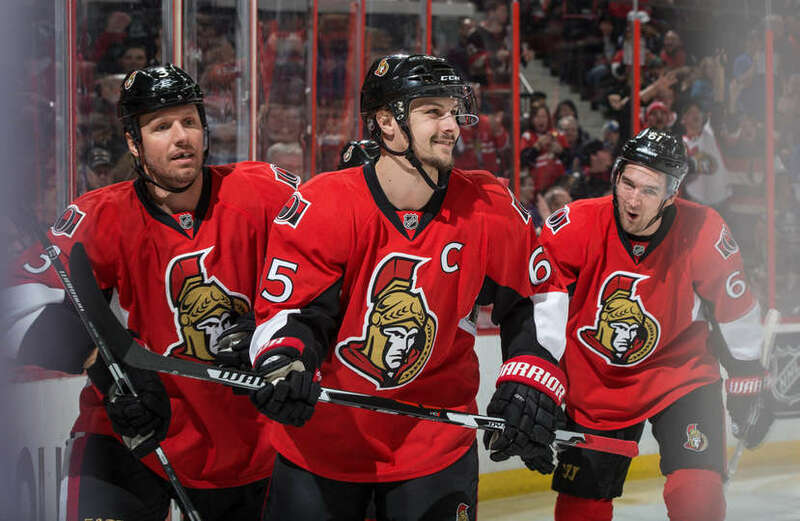 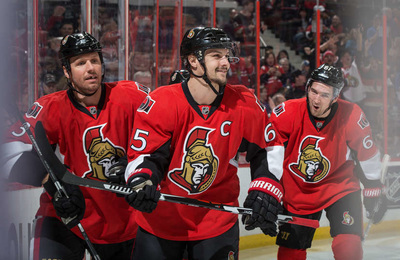 Karlsson finished the season 2nd place in Norris Trophy voting.